We serve the global market with high-quality Beta Blue Pigments. 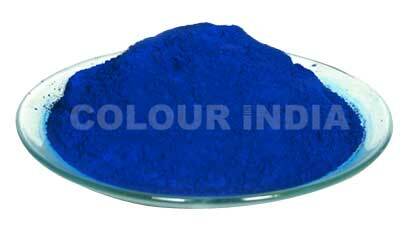 We are reputed to be among the chief Manufacturers, Exporters, and Suppliers of Beta Blue Pigments from Gujarat, India. We offer these Pigments characterized by the precise match of physical and chemical properties. And their fastness properties are just what one desires for. Their bright blue color is appealing. To avail them at modest prices, contact us! Tinting Strength + 5 % of approved Std. Sieve Residue (Grit) 0.1 % Max.